The Connecticut Supreme Court was one of the first of the state high courts, along with California’s and New Jersey’s, to invalidate a state education finance system, in Horton v. Meskill, 376 A.2d 359 (1977). The court found that the Connecticut Constitution requires the state to “provide a substantially equal educational opportunity” and declared the existing system unconstitutional because it was based primarily on local property taxes with no significant equalizing state support and, therefore, generated large per-pupil spending disparities. In response, the legislature enacted a percentage equalizing formula and a local minimum expenditure requirement. Although the Horton decision apparently reduced the disparity in educational expenditures among school districts, two decades later, the court was faced with a related case, Sheff v. O’Neill, 678 A.2d 1267 (1996), 678 A.2d 1267 (1996), in which plaintiffs argued that students in Hartford were not receiving a minimally adequate education under the state constitution. The Connecticut Supreme Court finessed the adequacy claim and, instead, issued a path-breaking decision which outlawed de facto racial segregation. In a decision which clearly deviated from U.S. Supreme Court precedents which have held that only intentional or de jure segregation is unconstitutional, the court read the Connecticut Constitution’s education clause together with a clause added in 1965 which specifically prohibited “segregation” to hold that racial segregation, whether or not it resulted from intentional state action deprived the plaintiff schoolchildren of their right to a substantially equal educational opportunity and required the state to take remedial measures. The Court deferred to the legislature to develop a remedy consistent with the Constitutional requirements. The legislature subsequently developed a remedy which called for additional spending on magnet schools, voluntary interdistrict transfer programs and interdistrict co-operative programs, but no re-drawing of district boundaries. Dissatisfied with the rate of integration achieved by these methods, the plaintiffs returned to the Superior Court. In 2003, plaintiffs and the governor reached a temporary, four-year settlement in Sheff v. O’Neill, which, among other things, required the state to spend $45 million over four years to establish eight additional magnet schools in Hartford, and established targets for proportions of Hartford students who would “have educational experiences with reduced isolation.” The agreement was approved by the General Assembly and the trial court. In 2007, plaintiffs returned to Court, claiming that the defendants had failed to carry out their obligations under the stipulation. 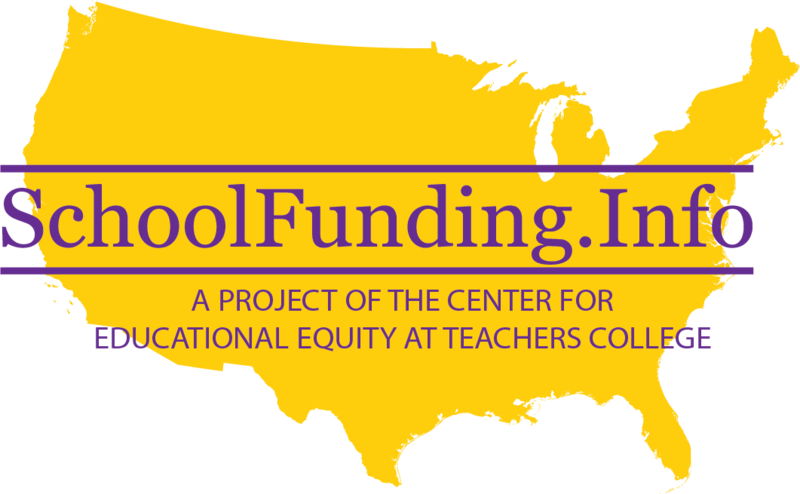 In late 2005, a coalition of plaintiffs filed a school funding suit which contained both “equity” and “adequacy” claims, Connecticut Coalition for Justice in Education Funding, Inc. (CCJEF) v. Rell. They asked the court to declare the state’s education finance system unconstitutional and to order the state to create a system that provides “suitable and substantially equal educational opportunities” as required by the state constitution. Among other things, the plaintiffs alleged in their complaint that the “affirmative obligation” under Article eighth § 1 includes an obligation to prepare students to obtain gainful employment, participate fully in our democracy, advance to higher education, and meet state standards. In September 2007, the Connecticut Superior Court dismissed plaintiffs’ adequacy claims, while permitting their equity claims to proceed to trial. After almost two years of deliberation, the Connecticut Supreme Court held in March 2010 in Coalition for Justice in Education Funding, Inc v. Rell, that Article eighth, § 1 of the State Constitution has a qualitative dimension that guarantees all students an adequate education. In doing so, the Court reversed the trial court’s dismissal of the adequacy claims in plaintiff’s complaint and sent the case back for a trial to determine whether the state’s educational resources and standards have, in fact, provided public school students with constitutionally suitable educational opportunities. After an extensive trial, in September, 2016, Superior Court Judge Thomas G. Moukawsher held that over-all funding levels for education in the state were adequate but that major components of Connecticut’s K-12 education system were so “irrational” that they were denying students, especially those in low wealth districts, their constitutional right to an adequate education. Judge Moukawsher acknowledged that on average Connecticut students do exceptionally well on standardized tests, but he alluded to the “flaw of averages” and cited numerous “alarming” statistics about how poorly students are doing in 30 of the state’s 169 municipalities where schools serving the poorest of Connecticut’s students are concentrated. 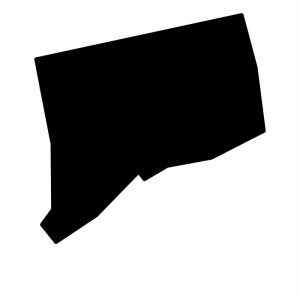 In January 2018, the Connecticut Supreme Court held that plaintiffs had failed to establish that the state was denying students the minimally adequate educational opportunities guaranteed by the state’s constitution (Connecticut Coalition for Justice in Education Funding, Inc. v. Rell). Four of the justices joined in the majority decision, while three justices dissented. It is not the function of the courts, however, to create educational policy or to attempt by judicial fiat to eliminate all of the societal deficiencies that continue to frustrate the state’s educational efforts. In the Court’s 2010 decision that had denied the state’s motion to dismiss the complaint, a three judge plurality had held that the constitution guarantees Connecticut’s public school students “an education suitable to give them the opportunity to be responsible citizens able to participate fully in democratic institutions, such as jury service and voting… [and] to progress to institutions of higher education, or to attain productive employment and otherwise contribute to the state’s economy.” A fourth justice, Richard Palmer, agreed that the case should proceed to trial, but he wrote a separate concurring opinion because of his concern that certain language in the plurality opinion could be construed to mean that the constitution guarantees that each student will receive an adequate education. The majority of the court in the current decision held that when a concurring opinion asserting narrower grounds is needed to constitute a majority in a case, that opinion will be deemed the controlling precedent of the case. Accordingly, the controlling constitutional standard, in this case, was that set forth in Justice Palmer’s 2010 concurring opinion. The court majority in 2018 interpreted that opinion to mean that the state must provide sufficient educational opportunities “to enable a student who takes advantage of them to attain a level of knowledge….that will…..enable the student to perform the basic functions of an adult in our society.’ But if the student needs additional supports to overcome “disadvantaging conditions,” that impede her taking advantage of these opportunities, the state has no constitutional responsibility to provide them. requires not only that the state provide the essential components of a minimally adequate education, including facilities, instrumentalities, curricula, and personnel, but also that some reasonable effort be made to ensure that these modalities are designed to address the basic educational needs of at risk learners in under-privileged communities. The basic building block of the constitutional standard the Court applied in its current decision–i.e. the emphasis on “minimally adequate” facilities, instrumentalities of learning curricula and personnel–was taken from language articulated by the New York Court of Appeals in its 1994 decision in CFE v. State of New York (CFE I). Plaintiffs pointed out, however, that based on the evidence adduced at the CFE trial and the trial judge’s further explication of the constitutional standard, the New York Court of Appeals held in its 2003 decision (CFE II) that the constitutional standard did require additional supports for at risk students; in CFE II, the New York Court of Appeals also explicitly held that the constitutional standard should be interpreted to provide students a “meaningful” educational opportunity. The Connecticut Court rejected this argument. Accordingly, the Connecticut Court has applied an interpretation of the CFE constitutional standard which is inconsistent with the meaning of those words as articulated by the New York Court of Appeals, the body that authored them. The Court’s specific holding was to affirm the trial court’s determination that Connecticut has provided its students minimally adequate educational resources in accordance with the CFE I standard, but it reversed the lower court’s further determination that the state’s educational policies in regard to the specifics of the school funding formula, its academic content standards and graduation requirements, its teacher evaluation and compensation systems and its programs for special education were all so irrational that they were depriving students in low wealth districts a minimally adequate education. The Supreme Court held that these issues involved matters of educational policy that should be determined by the legislature, not by the court. A case claiming that limitations on the availability of magnet and charter schools to minority students from poverty constitute discrimination and a denial of a right to a “meaningful education” under the 14th Amendment to the U.S. Constitution was dismissed in September 2018 by Alvin W. Thompson, U.S. District Court Judge for the District of Connecticut. Martinez v. Malloy. Plaintiffs had challenged a state statute that had imposed a moratorium on the construction of new inner-city magnet schools and education finance policies that “effectively” cap the opening of new charter schools or the expansion of existing charter schools and limit the number of students who can participate in open choice programs. The Court held that there is no fundamental right to a minimally adequate education under the Fourteenth Amendment to the U.S. Constitution, citing the U.S. Supreme Court’s decision in San Antonio Ind’t Sch. Dist. v Rodriguez, 411 U.S. 1 (1973.). In doing so, the Court brushed aside, with virtually no analysis, the plaintiffs’ claim that the Supreme Court explicitly left open for future consideration the question of whether some basic level of education is necessary for students to exercise their rights to vote and to exercise free speech under the Fifteenth Amendment and the First Amendment. Since the Court determined that no fundamental federal right to education exists, it did not consider at all the specific question raised by the plaintiffs, i.e., whether lack of access to magnet or charter schools would trigger such a right. The plaintiff attorneys, who are supported by Student Matters, a pro-charter group that initiated and lost the Vergara case in California, have announced that they will appeal the decision to the U.S. Court of Appeals for the Second Circuit. Gary B. v. Snyder, another case raising the question of whether there is a right to a basic education under the federal constitution is currently pending before the U.S. Court of Appeals for the Sixth Circuit, and a third case that will argue that there is a federal right to an education adequate to prepare students to be capable citizens will be filed shortly in another federal district court by a group of plaintiffs supported by the Center for Educational Equity at Teachers College, Columbia University and a number of other groups. Michael A. Rebell and Robert L. Hughes, Efficacy and Engagement: The Remedies Problem Posed by Sheff v. O’Neill – and a Proposed Solution, 29 Connecticut Law Review 1115 (Spring 1997).